Whitlam's Australian defence policy reflected the need for an independent foreign policy. The Whitlam Government’s approach to defence policy was shaped by its vision of Australian foreign policy. Australian defence policy would reflected the need for an independent foreign policy. Free of its involvement in Vietnam, Australian defence would be guided by the doctrine of ‘continental defence’. Reforms enacted by the Whitlam Government would make the Australian military more modern and efficient, by creating a single, unified Department of Defence. Whitlam argued that the conscription of troops for the Australian Army had not only divided Australian society, but undermined the Army as an organisation. In office, his government abolished conscription and increased troop numbers. Whitlam and the Labor Party had been critical of Australia's involvement in the Vietnam War, and the conscription of troops associated with it for many years. As Opposition leader, he described the war as "disastrous and deluded." Whitlam advocated a negotiated peace settlement, and the de-escalation of the conflict. The Vietnam War was one of the most the divisive issues in Australian society in the 20th century. The conscription of soldiers as young as 20 years old to support Australia's military involvement was similarly controversial. Speaking against the war, Whitlam said that not only was the violence and horror of the war putting a heavy toll on the people of Vietnam, Australia's involvement in it was against its own foreign policy interests. "The sole purpose of Australia's participation in the civil war in Vietnam was to keep United States military forces involved on the mainland of Asia. The sole achievement of that war—the sole consequence of the devastation of an entire country, the destruction of a proud and civilised nation, the loss of over 300 Australian lives, the political destruction of one of the strongest presidents in America's history, the near disruption of the American political system—has been to hasten, to make certain, that American withdrawal from our region which our participation was supposed to delay or prevent. Australian arms remain undimmed; but Australian policy has never suffered so total and unrelieved a defeat." The process of withdrawal had effectively begun in 1970 when Prime Minister Gorton announced that the 8th Battalion of the Royal Australian Regiment would not be replaced at the end of its tour of duty, and his successor, William McMahon subsequently announced additional troop withdrawals. Whitlam had been vehemently opposed the escalation of the war, Australia's involvement in it, and the conscription enacted to sustain it throughout the 1960s. On its seventh day in power, the Whitlam Government announced the withdrawal of Australia's remaining troops, which were designated as 'military advisers'. The Government officially ended Australia's involvement in the war on January 11, 1973 when Governor General Paul Hasluck issued an official proclamation formally ending hostilities. The eleven year conflict had been the longest in Australian military history. 60,000 Australians had served during the Vietnam War. 521 were killed, and 3,129 had been wounded. The Whitlam Government supported the shift from the strategic doctrine of ‘forward defence’ to the doctrine of ‘continental defence’. 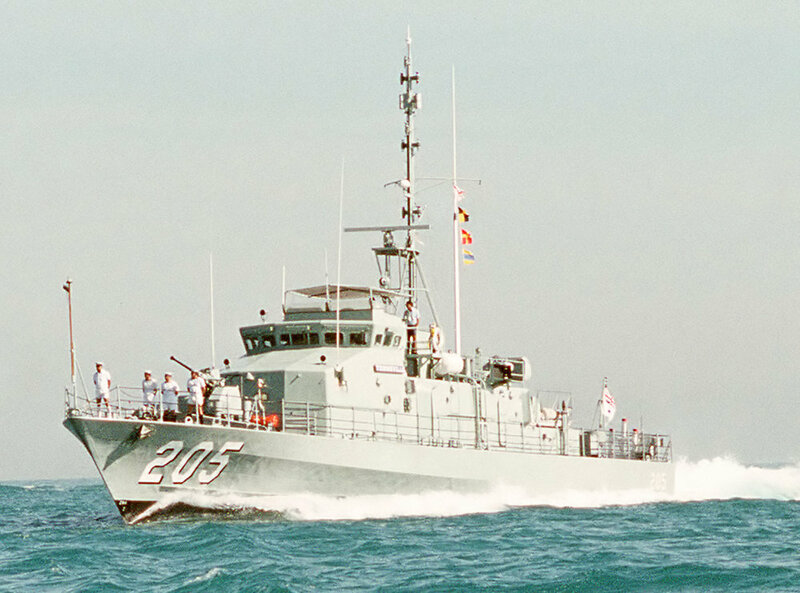 Forward defence was a product of the cold war security environment, in which Australian forces were based within Asia so that they could be easily deployed to conflicts in Indochina. The aim of this doctrine was to repel threats before they reached Australian soil. By contrast, the doctrine of continental defence saw Australia concentrate its resources on the Australian continent. This took account of the new strategic reality in the region that major powers such as the United States and the United Kingdom would not sustain their present engagements in the region. Whitlam argued that this strategy was ‘consonant not only with Australia’s military capacity and national security, but also with its ability to develop a degree of independence in defence policy’. Until the Whitlam Government’s reforms, the Australian defence force was administered by five separate government departments: the Departments of Defence, Supply, Navy, Army and Air Force. Defence Minister Lance Barnard argued that ‘the defence of this country is too important a matter to be administered by a demonstrably inefficient grouping of organisations whose functions are sometimes duplicated and whose very existence as bureaucracies bedevils great affairs with unnecessary conflicts’. To create a more efficient, organised defence force, the Whitlam Government created a single Department of Defence. In his 1972 election campaign speech, Whitlam stated that ‘Conscription is an impediment to achieving the forces Australia needs. It is an alibi for failing to give proper conditions to regular soldiers. We will abolish conscription forthwith. By abolishing it, Australia will achieve a better army, a better paid army – and a better, united society’. In office, the Whitlam Government increased troop numbers in the regular Australian Army by 1,300 and abolished conscription. The Whitlam Government made significant investments in military hardware in order to update the Australian defence force’s capabilities. These investments included the purchase of: 10 Sea King helicopters, 87 Leopard tanks, 8 Orion maritime patrol aircraft, a fleet of new patrol boats, 2 patrol frigates and 1 heavy transport ship. Throughout the 1960s and 1970s, the French government conducted atmospheric nuclear tests at sites in French Polynesia. The fallout spread throughout the region, to the extent that background radiation in Australia increased by 2% during this time. The Whitlam Government strongly opposed this atmospheric nuclear testing because of its impact on human health, and the fact that it violated a resolution of the United National General Assembly. 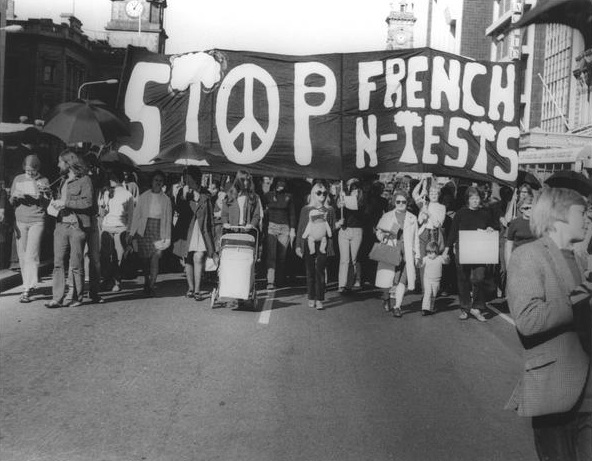 On May 9, 1973, the Australian and New Zealand governments took France to the International Court of Justice, seeking an injunction against further testing. On June 22, the injunction was granted. Despite this interim order, the French Government continued atmospheric testing, but gave notice that it would cease these tests in 1974. RAAF AP-3C Orion in flight.